Extreme pressure differentials frequently impact the process systems of the power generation, petrochemical and industrial chemical industries. For this reason, customers specify valves with continuous, linear flow characteristics, a long and uniform service life, and low maintenance costs. The Multi-Z is ideal for system startup and boiler feed-water recirculation. 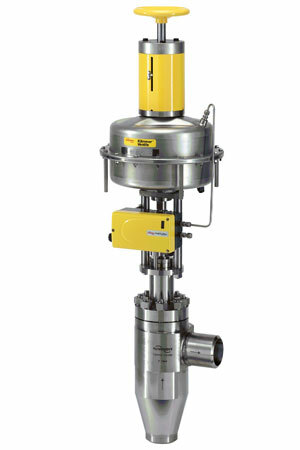 This control valve meets severe service requirements such as solids in liquid media, high sound levels, high temperatures, dirty service, cavitation formation and corrosion. The multi-stage trim design of the Multi-Z eliminates cavitation and provides extended trim life. Its unique venturi outlet nozzle provides further trim and seat protection from high velocity, cavitation and flashing, and its linear multi-stage plug design provides greater rangeability and higher throttling resolution.